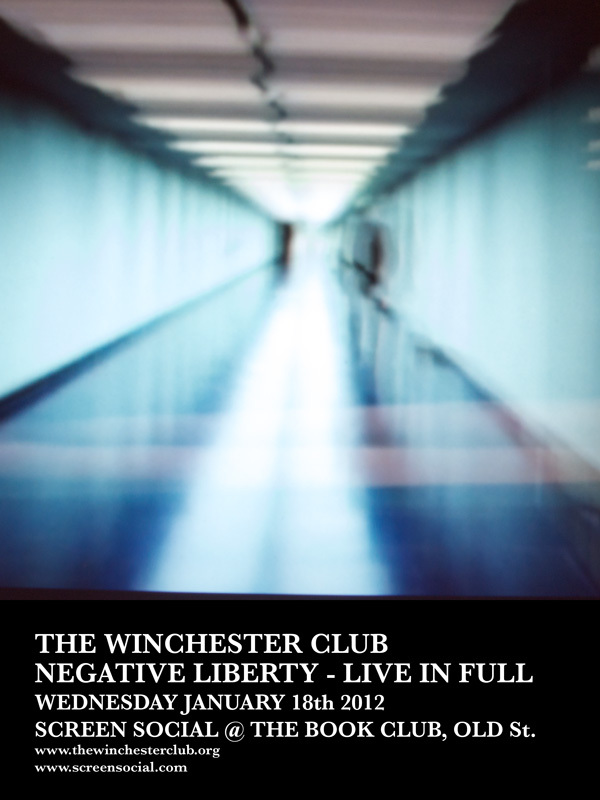 We’ll be presenting our new album ‘Negative Liberty’ in it’s entirety on Wednesday January 18th at ScreenSocial, a new club/film night. This is the first time we will have played the album in full in the UK. The live set will be accompanied by Full multi-screen visuals taken from Adam Curtis’ acclaimed documentary series “The Trap”, which provided inspiration for the imagery and themes explored by the new album. The visuals will span the entire 3-room space of The Book Club bar in old st, London. Screen Social is a new Film vs Music mash-up night featuring VJs mixing music videos, animation, short films & experiments with movie ‘soundtracks of your lives’. Bringing two of our most divisive cultural genres together in one space, Screen Social creates a live ‘filmusic’ experience. Check out new films, videos, directors and content you won’t see anywhere else!